We have the capability to remove any surface covering and adhesive mastics. 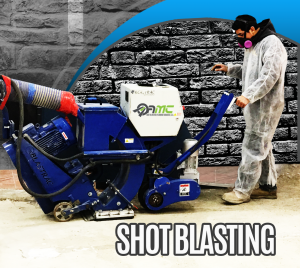 This work can be preformed from industrial demolition sites to fully operated medical facilities. 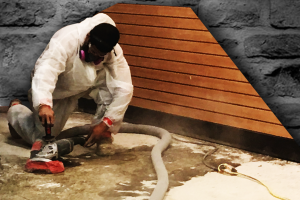 AMC uses a variety of specialized equipment on its flooring projects. Our equipment is electric or propane powered, making our work low-emission & dust free. Flooring finish removal and surface preparation is a unique service that we provide to our clients. Put simply, if the surface prep is not done correc- tly, the new flooring system will not be as durable as it should be and its other properties (such as chemical resistance or moisture mitigation) may also be compromised. It’s a waste of both time and money to have new flooring systems fail, so it’s essential that surface preparation is done right. 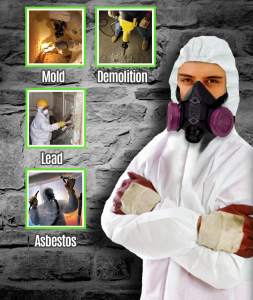 We also are Asbestos Contractor licensed company with many years of experience; we remove asbestos abatement, mold, lead and demolition. Our employees are licensed and verified to complete your projects with maximum efficiency. We have a group of employees ready with cleared background checks and who have TWIC clearance to enter into any military nuclear base and any federal building within the United States. Our employees are also ready with COATS and MICSS cards. You can expect us to respond to any emergency calls. You will no longer get an answering machine. You will always have someone on the phone to facilitate disaster recovery. We are committed to you 24 hours a day.